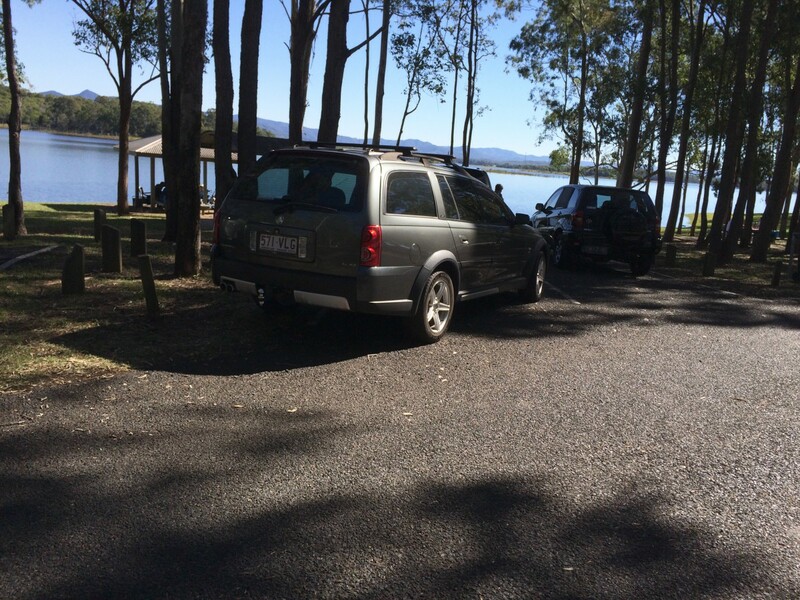 In early 2000s Australia, with SUV sales booming and crossovers emerging as a significant growth segment, Ford and Holden each developed their own crossover SUVs to storm the market and grab market share. Ford’s offering, the 2004 Territory, remains a strong seller to this day and arguably helped keep their Broadmeadows factory’s lights on for a few years longer. 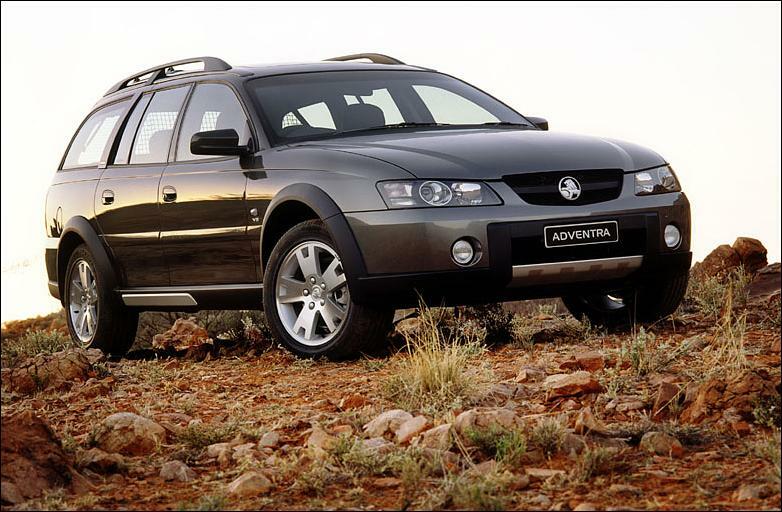 Holden’s offering, the 2003 Adventra, was a flop and was quietly dropped in 2007. What went wrong? Let’s look first at what Ford Australia did right. They needed the Territory to work. 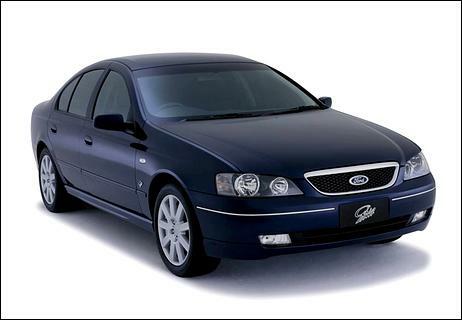 After the poor reception received by the controversial 1998 AU Falcon, Ford had developed an extensively overhauled model for 2002 known as the BA Falcon. But, despite greater interior and engine refinement and more conservative styling, the Falcon was still losing the sales race to an inferior Commodore. With the Falcon wagon selling predominantly to fleets, they needed something to appeal to private buyers, specifically families. A lot of Aussie families were doing the school run in cumbersome, oversized Mitsubishi Pajeros and Toyota Landcruisers. The Territory was designed to look as bulky and aggressive as those more agricultural SUVs, but offer less off-road ability and commensurately greater on-road refinement. It succeeded fantastically: the Territory has been a podium finisher in mid-size SUV sales for over a decade now, won Wheels Car of the Year for 2004, and earned consistent praise for riding and handling as well as more expensive SUVs from luxury brands. Turbocharged models were offered, but the sole engine offering for several years was a venerable 4.0 inline six, before a Land Rover-sourced 2.7 V6 diesel was launched and took the lion’s share of sales. Looking at how and why the Territory succeeded allows us to see clearly how the Adventra failed. It all starts with something as superficial as looks: the Territory looked like an SUV, the Adventra looked like a jacked-up wagon. While the Adventra does look purposeful, with cladding and a 7.87 inch ride height (3 inches higher than the standard Commodore wagon), consumers were buying thousands of Landcruiser Prados and other truck-like SUVs and the Adventra didn’t look anything like them. The Territory did. Although the Adventra looked like a wagon with an offroad “appearance package”, underneath there were some meaningful off-road improvements like front and rear “bash plates”, a heavy-duty engine cradle, as well as extra front strut bracing. The brakes and cooling system were also toughened up. Out back, the Adventra also received a unique split tailgate. But buyers’ enthusiasm was tempered by the Adventra’s engine offerings. It was launched during the run of the VY Commodore, the last Commodore series to carry the old Buick 3.8 V6. This engine was scheduled to be replaced by the Alloytec 3.6 V6 (related to the High Feature V6 used in numerous US products) in time for the VZ revision of 2004. Accordingly, Holden decided to launch the Adventra with just one engine offering: the 5.7 Generation III LS1 V8 engine. While the American 5.7 V8 was plenty powerful – 315hp and 346 ft-lbs – it guzzled fuel. Australians have always paid more at the pump than North Americans, so although we have always had a strong affinity for V8 performance cars, more utilitarian vehicles like family SUVs are far less likely to boast V8s. The Territory never bothered to offer one. At the time, V8s accounted for around 10% of Commodore sales and the Adventra’s LS1 was actually 13 horsepower down on the V8 fitted to Commodores due to a different exhaust system. The Adventra had been launched under the reign of Chairman and Managing Director Peter Hanenberger, an enthusiast who reintroduced the concept of “handling” to Holdens in the 1970s. During his tenure in the early 2000s, the range of Australian-built range of Holdens rapidly proliferated. In addition to the usual Commodore sedan, ute and wagon and long-wheelbase Statesman/Caprice luxury sedans, the Monaro coupe returned after an absence of more than two decades. Then, a four-door Commodore ute arrived, known as the Crewman. 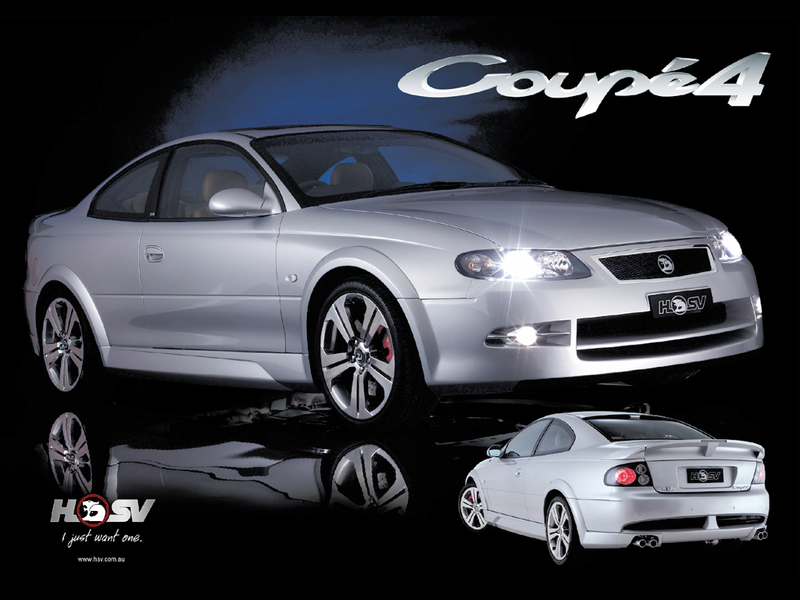 The all-wheel-drive Holdens were the next extension of the range, and the all-weather hardware would make its way underneath the Adventra, Crewman and a Monaro fettled by Holden Special Vehicles (HSV), known as Coupé4. You can add to that menagerie HSV versions of the Adventra (HSV Avalanche) and Crewman (Avalanche XUV). They featured a rear-biased, full-time AWD system known as “Cross-Trac”, with no low-range set of gears; the torque split was 62% rear, 38% front. 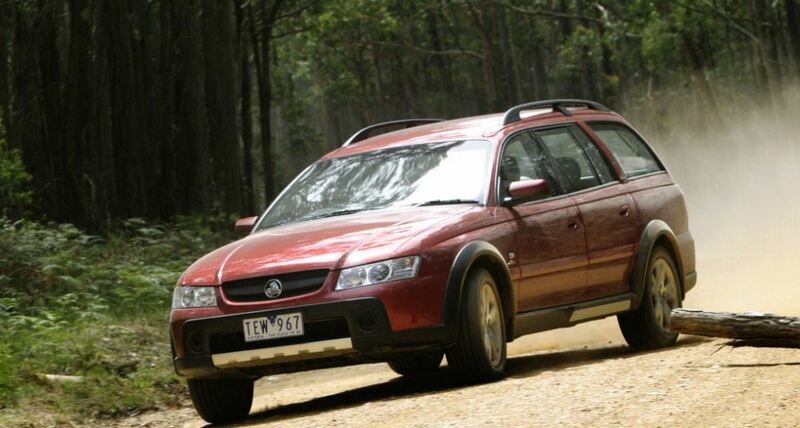 The AWD Holdens were not quite the first mass-produced Australian vehicles with all-wheel-drive: the 2002 Mitsubishi Magna/Verada (Diamante) just beat them to market. The Adventra and the Crewman Cross8 cost Holden $AUD125 million to develop, a fraction of Ford’s $500 million Territory budget. But the GM V platform was already several years old at this point, and the Zeta platform was to arrive in 2006. So, even if the Adventra had been successful, it would have been due for replacement after a short time. The AWD Holdens were short-lived, and the Zeta/VE cars would be RWD-only. Holden’s first crossover, thirsty V8 aside, was quite a practical option for families. It had some light off-road ability, had an available third row of forward-facing seats, and featured various clever features like the split tailgate, fold-flat rear seats, roof racks and various storage nooks and crannies. Dynamically, it offered a plusher ride and better suspension travel than a standard Commodore wagon, but the added heft was felt: the Adventra weighed 4177lbs, a sizeable 440lbs more than its RWD wagon companion, and had a larger turning circle. An Adventra driver enjoyed more of a command driving position than in a Commodore, plus more nimble dynamics than most SUVs and crossovers. 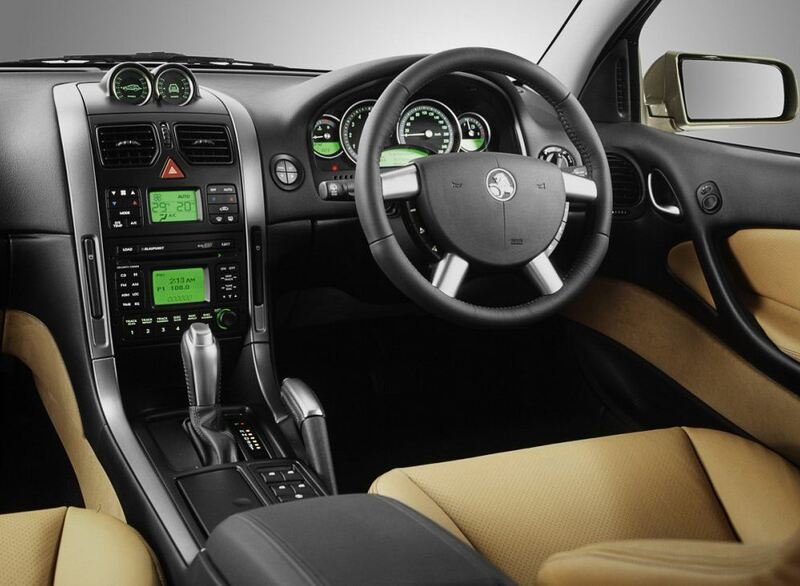 The range started with the CX8, which corresponded with the Holden Berlina. There was a six-disc CD player, rear park assist, cruise control, leather-wrapped wheel and shifter and electronic brake force distribution (EBD). The LX8 added stainless steel sill plates, fog lamps, power sports seats, premium audio, dual-zone climate control and a level-ride suspension with superlift shock absorbers. There may have been a lot of standard kit, but people weren’t exactly snapping up this thirsty new wagon. Holden had projected sales of 420 a month, but after six months the highest figure it could manage was 261. In contrast, the Territory clocked more than a thousand sales in its first, truncated month on sale. Even Toyota was selling almost three times as many of its mid-size crossover, the Kluger (Highlander). 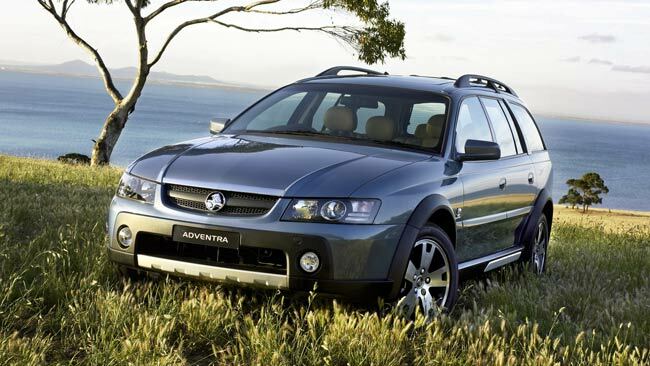 Holden reacted by slashing prices by $4k and even reimbursing Adventra buyers who had paid the old price, before finally adding a V6 option for the 2005 VZ revision. This new series also featured a more aggressive front fascia and hood. The belated V6 was the new Alloytec 3.6, with 250hp and 250 ft-lbs. The transmission was a new five-speed 5L40-E automatic with paddle shifters, while the V8 retained the older, less reliable 4L60 four-speed automatic (even though the Crewman Cross8 received a heavy-duty 4L65 auto). The V6 may have struggled more with the Adventra’s heft, but it was more economical. It also gained Hill Descent Control, which the lone remaining V8 trim missed out on. After 2006, the V6 was your only option: Holden didn’t engineer the Adventra to take the Gen IV L76 6.0 V8 introduced late in the VZ Commodore’s run. The V6 certainly lowered the cost of entry for the Adventra range. While the initial V8-only series opened at $52,990, the new base model – SX6 – listed for a whopping $12k less while offering only slightly less feature content. The Adventra now looked a roaring good value against the conventional Commodore wagon, and undercut the base AWD Territory by $2k, but it didn’t help sales. 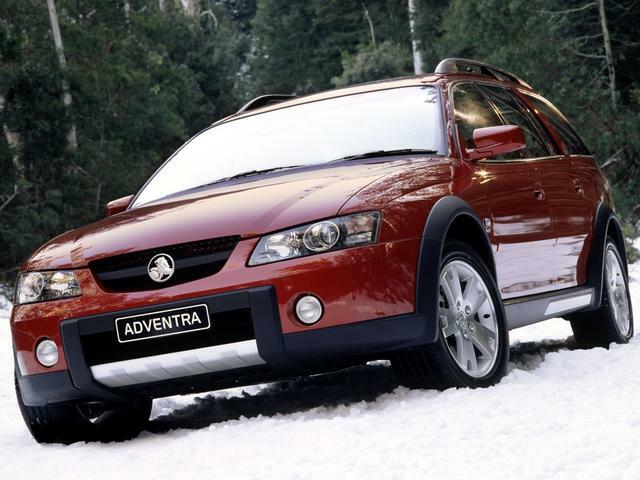 The Adventra continued to sell around 200 units a month, meaning it was often being outsold 10-to-1 by the Territory. 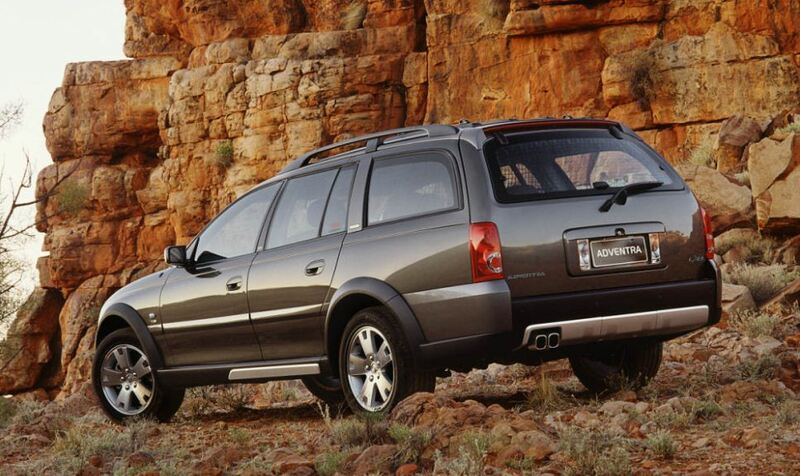 Even the Commodore wagon, one of the last holdouts in a dying segment, had sold a considerable 18,273 units in 2003. Holden had botched the launch of its Territory rival, and overall their new crossover seemed half-baked: they spent less money than Ford and it showed. Like Ford, they splashed on a slick television advertising campaign, but the Territory’s was more memorable. The Adventra was plainer in appearance and less practical. Even the all-wheel-drive technology was older stuff than what was in the Territory, and although the Ford was around 400lbs heavier, its smooth inline six had 30 more pound-feet of torque. Ford also foresaw that a lot of buyers simply didn’t care about off-road ability, and offered a rear-wheel-drive Territory. Holden’s new Zeta-based VE Commodore launched in 2006, leaving the carryover wagon and ute variants to straggle alongside until their replacements arrived. But a replacement never arrived for the Adventra: it had flopped, and General Motors couldn’t justify investing in an all-wheel-drive Zeta-based replacement. As Holden was doing with its small and medium car lineup, they turned to South Korea for a replacement. The South Korean Captiva launched in 2006 and, despite having had more nips and tucks than Melanie Griffith, it continues to sell in great volumes. Like the Adventra, it had car-like road manners but it didn’t look like a car. In the mid-size family crossover market, you have to have something that looks like it can tackle the great Australian Outback… Not look like a a great Australian Subaru Outback! Nice article. The front of the Territory looks so much like the NA Escape. I do recall seeing one or two Territories around the Ford Dearborn campus years go, nice looking vehicle in person. 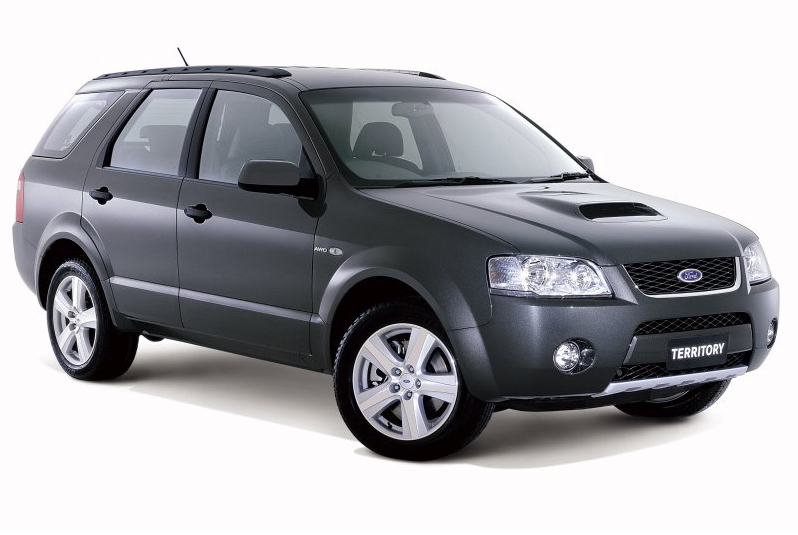 The Ford Territory looks like a FreeStyle/Taurus X that had a Ford Escape nose grafted on to it. Strangely…or coincidentally, GM in the ‘states has had the same kind of mixed success as GM Australia when it comes to Crossovers. Chevy has 1 or 2 moderately successful CUVs, but probably due to brand snobbery, it will never have a runaway seller in this segment. For it’s part, the Ford Flex (not a true CUV), sells okay but has very loyal owners….due no doubt to great styling….IMHO. 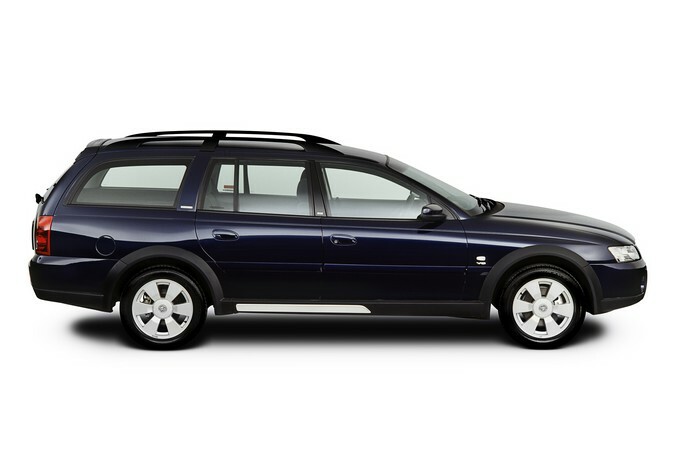 Definitely looks more like a Subaru Outback or a Volvo XC70 (or even an Audi Allroad) than a small SUV. 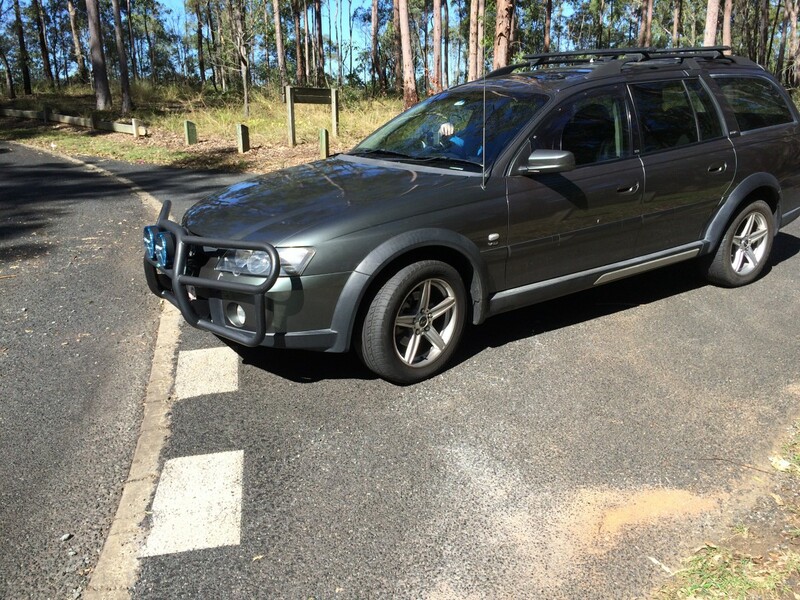 Over here, Outbacks are very strong sellers and the XC70 sold briskly enough. Not the same case in Australia, or was the Adventira inferior to those two? I guess missing out on the small SUV market entirely is a bad thing regardless though. The Volvo is a bit expensive to sell in number but the Subaru does well. The difference here was the huge difference in interior space between a standard station wagon body and the taller and wider Territory. As William says the Adventra had a third row of seats, but they were sitting on the floor and rated for small children only, whereas the Territory could fit (small) adults. Howard – I understand it may have been the Territory that influenced the styling of the Freestyle. Ford Aust CEO Geoff Polites took a model of the vehicle to Dearborn to get the project approved that made a very good impression. The red Crewman ute is a sweet looking ride. My brother had one as a company car, hated it noisy and uncomfortable he does several long distance interstate trips every month around mines, it was replaced with a 5 banger Ranger diesel which is a major improvement. Too bad it doesn’t live up to it’s looks. The worst aspect is the rear seat which has the backrest far too upright, in an effort to reduce overall length. I sat in one and it felt like you were leaning forward, I would not want to ride in one for an extended time. I haven’t had personal experience with the Crewman Ute, but I have heard from several people that the back seat is practically useless for full-size adults. It sure did look cool though. The Territiory now it has the Peugeot 2,7 twin turbo diesel is a great vehicle, there was never any plan to V8 the Ford and the V6 from PSA is a great performer. The V6 is single turbo. Goes very well and will save fuel no matter how you punish it. The Territory had a front-mount steering rack instead of rear-mount like the Falcon, so the steering shaft location would have been obstructed by a V8 cylinder head or exhaust, especially with the bulky overhead cam 5.4. The V6 diesel was a lot more compact (plus made more sense). With the turbo model you didn’t need a V8 anyway, guys have tuned them to run 10-sec in the quarter mile. I had no idea the Adventra (hate the name!) had competent underpinnings. I just dismissed it as a wannabe, a jacked-up wagon with a bodykit. Guess most Aussies did too, because there sure aren’t many around. I think I saw one last year. Interesting case study. Sounds like the old GM way of launching a half baked project and getting the bugs worked out just in time to cancel the car due to lack luster sales. I don’t think there were any bugs particular to the Adventra although Holden have been far from immune from them! It was more a case of poor timing as the car it was based on was launched 6 years earlier (1997), the V6 powertrain was to be replaced soon afterwards so not available at launch. I wonder if they could have brought forward the 3.6 HFV6 for the Adventra ahead of its wider use in the Commodore? The biggest issue is they tried to get a cheap entry into the segment using an existing bodyshell, but most buyers preferred a ‘proper’ CUV/SUV. It lacks the command driving position people like in SUVs. By “bugs” I mostly meant the V-8 only foolishness. For some reason this reminds me of the Chevy SSR–you remember, the cartoon hotrod “pickup” someone thought could “replace” the Camaro in 2003. It was a different goof, but they initially came with the 5.3L truck engine and 4L60E in a supposed performance vehicle weighing upwards of 5000lbs. Performance was lackluster; all they were good for was looking cool to a handful of 50-60 year old men. A couple of years later they wised up and put in the 6.0L high output engine with an available T56 but it was too late. My point is, both were potentially viable concepts ruined by short-sighted cost cutting and inappropriate engines. I take that back…the SSR was never a viable concept. I remember this very brief period of strange variants of the Commodore. At the time I couldn’t understand why Holden was investing so much money into a dated platform that was near the end of it’s lifecycle. The new VE model was going to be a game changer, and it was just a few years away. It was an interesting period nonetheless. Feel consumption aside, I confess that I find a V8 Adventra to be quite an appealing car. It’s like the modern day Aussie equivalent of the AMC Eagle, a car which I have always loved. I feel like the Falcon finally (and also very briefly) had the edge over the Commodore at that time. I had a close look at both the BA and VZ series, and I ended up choosing the BA Falcon. The new dashboard in the VZ Commodore was disappointingly cheap, and contrasted poorly with the old door trims that were carried over from the previous model. This. A thousand times this. The droopy, curvy VT/VX door trims with the very angular VY/VZ dash just looked dumb. And the BA Falcon was miles ahead in materials quality. I test drove a VY S before I bought my BA XR6. The VY was a huge letdown: agricultural manual, cheap interior, stupid plastic trim where fog lights should be. I meant VY rather than VZ. I forgot the model sequence, haha. I totally agree with you about the VY though. It felt a little half baked compared to the VT and VX that preceded it. I also feel that the restyled front and rear were too angular for a car with such an organic and rounded shape. It looked very tacked on. Not outright terrible, but definitely not in the same league as Ford’s effort at the time. “Now I know my ABCs…” Haha. The BA roof was flatter than the AU, with a revised squarer windshield opening too although I think the actual structure underneath did not change. I agree completely, and I question whether some of the variants paid back the money spent on them. 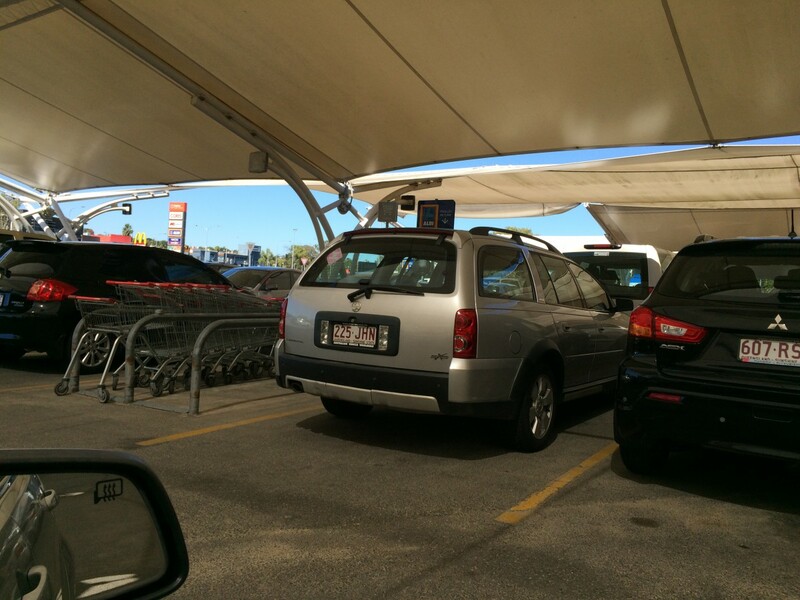 What is the link, if any, between the Ford Territory and the Ford Escape/Maverick and Mazda Tribute? And am I alone in seeing something of the new Land Rover Discovery Sport in the C pillar of the Territory as well? Probably very little- maybe some AWD hardware and parts bin bits like wiper motors. The Territory was based on the ancient, but competent Falcon architecture, and the others were totally different newer platforms. I own a VZ Adventra LX6. It shows my age but i love the big girl because its so….. practical. Can seat 5 big blokes in comfort with decent leg room. Leather, Dual zone climate control. Fold the rear seat down and you have a 2 meter long boot (Can sleep in it). Even with the seats up the rear storage area is huge. Include auto ride level rear suspension, towbar and roof racks and this thing is a cargo lugger! I live in the NT and it can handle corrugated dirt roads really well. Just dont be fooled into tackling gnarly terrain. It just doesnt have enough ground clearance. In saying that, with a set of max trax recovery boards I have no fear of driving on some pretty beaten up tracks or sand. The V6 is decent, but the combination of weight and constant AWD does take its toll on fuel economy. Around 13L/100km around town, around 10 on the highway. Performance is good but not amazing. Its biggest plus is it actually drives like a road car. And lets face it, most of us drive on the road more than we do off it.